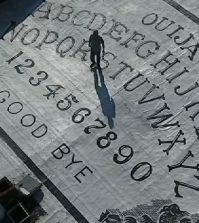 The Talking Board Historical Society is celebrating the Ouija board’s 125th birthday in Baltimore with the first ever Ouija conference. 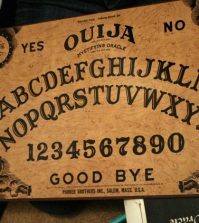 The Ouija Board was born in Baltimore, Maryland in 1890 and manufactured there for many years by William Fuld and the Kennard Novelty Company. 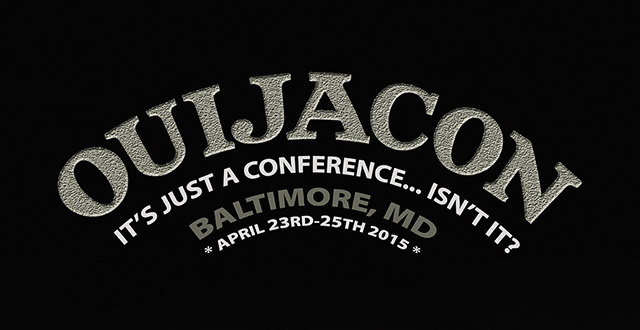 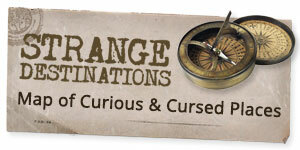 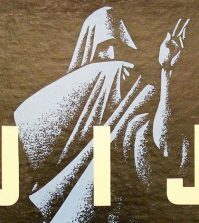 Now, in celebration of 125 years of Ouija, the Talking Board Historical Society presents a first-of-its-kind event – OuijaCon 2015 hosted by expert Robert Murch from April 23rd-25th at the Baltimore Harbor Hotel. 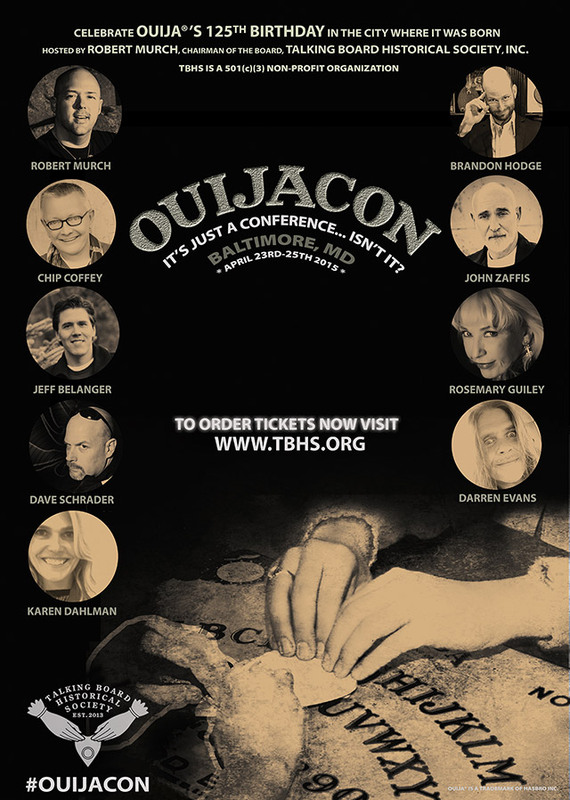 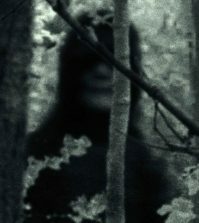 The conference will also include a talking board fashion show and art contest, collectors panel, live séance with Chip Coffey, and an exhibit displaying some of the rarest and most valuable talking boards on the planet. 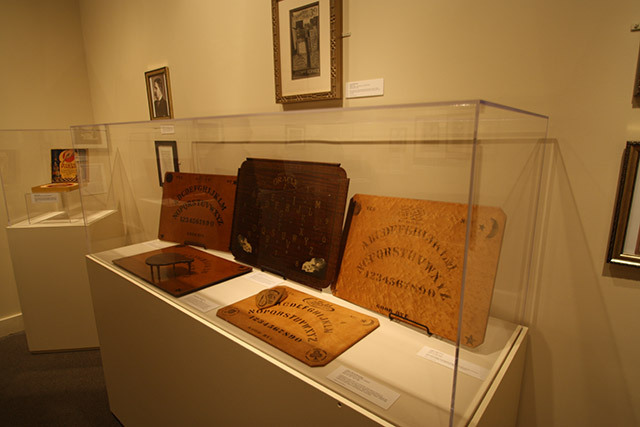 The museum will showcase 125 years of history with prized artifacts from collectors around the globe, including talking boards, planchettes, dial plates, spirit trumpets and more.